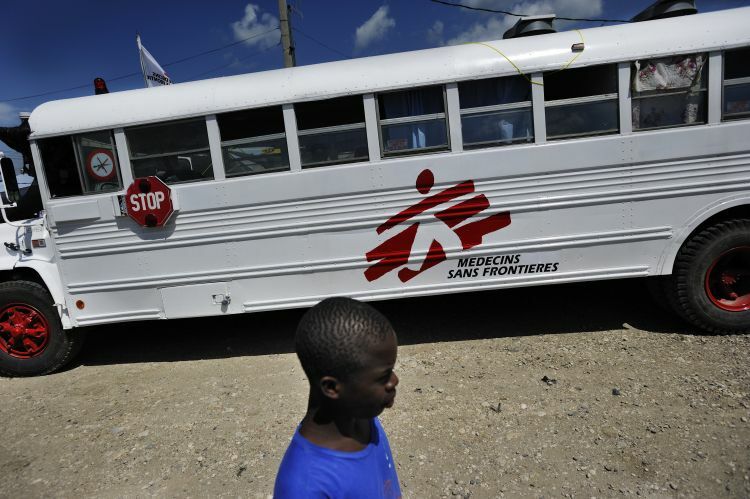 The international medical organisation, Médecins Sans Frontières (MSF) is calling for free and efficient healthcare for Haitians ahead of the UN donor conference to be held in New York tomorrow. Whilst the majority of people in Haiti are still extremely vulnerable, the UN donor conference to be held in New York on 31st March must not take measures that would limit the availability of healthcare for Haitian people. Since the earthquake of 12th January, nearly all public and many private medical centres have offered healthcare free of charge. However plans have been disclosed to progressively reinstate hospital fees as early as mid April. Respiratory infections and diarrheal diseases are the two main conditions that MSF is currently treating. Earthquake victims continue to need post-operative and rehabilitative care, physiotherapy as well as psychological counseling. In addition, the wider population needs obstetric, paediatric and trauma care. International aid must consider giving direct financial support to the health system in Haiti. It is imperative that the decisions at the New York conference allow the Haitian health system to continue to address the population’s immediate medical needs. MSF has been assisting Haitian communities for 19 years. Today, some 3,300 Haitian and international MSF staff are supporting government hospitals and running facilities. Since the earthquake, MSF teams have performed more than 4,000 surgeries, provided psychological counseling to over 20,000 people, and treated 53,000 patients. MSF has distributed 14,000 tents and close to 20,000 emergency relief kits (including kitchen and hygiene kits, jerry cans, blankets and plastic sheeting). MSF is funding its activities in Haiti exclusively with private donations and is therefore not a stakeholder in the donor conference in New York.